Mum of Five Staying Sane: REVIEW POST; Our thoughts on the Lin and Leo Cardinal changing bag. A smaller changing bag ideal for quick trips out, small yet stylish. 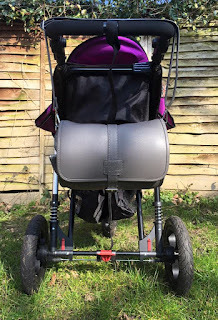 Ideal for trips out with a baby or toddler. REVIEW POST; Our thoughts on the Lin and Leo Cardinal changing bag. A smaller changing bag ideal for quick trips out, small yet stylish. 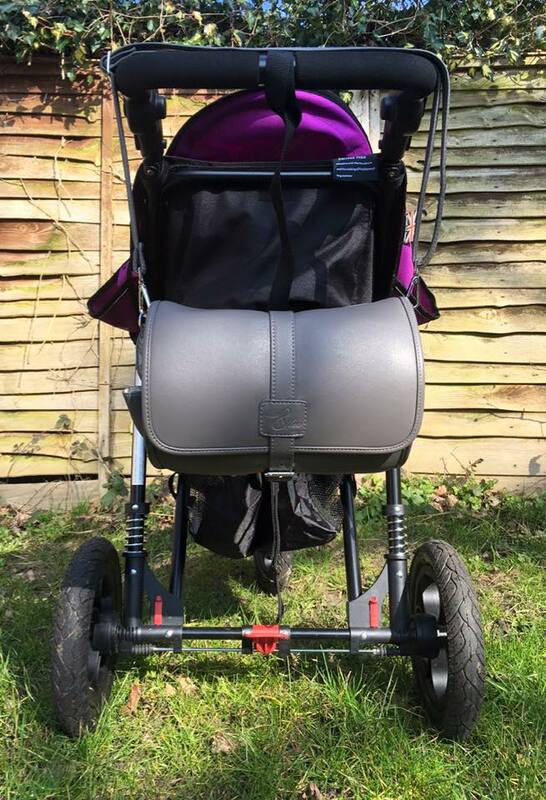 Ideal for trips out with a baby or toddler. 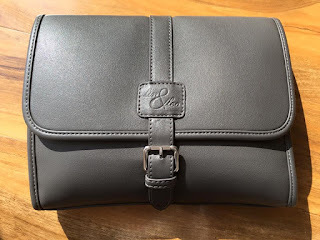 We were recently sent a gorgeous Lin and Leo Cardinal changing bag to review. In a stylish grey with a lovely handbag look about it. Ideal for a quick trip out or as an emergency 'grab and go' change bag, it is a lovely size and not overly big. Sometimes changing bags can seem huge and you constantly feel like you are carrying around everything except the kitchen sink with you. 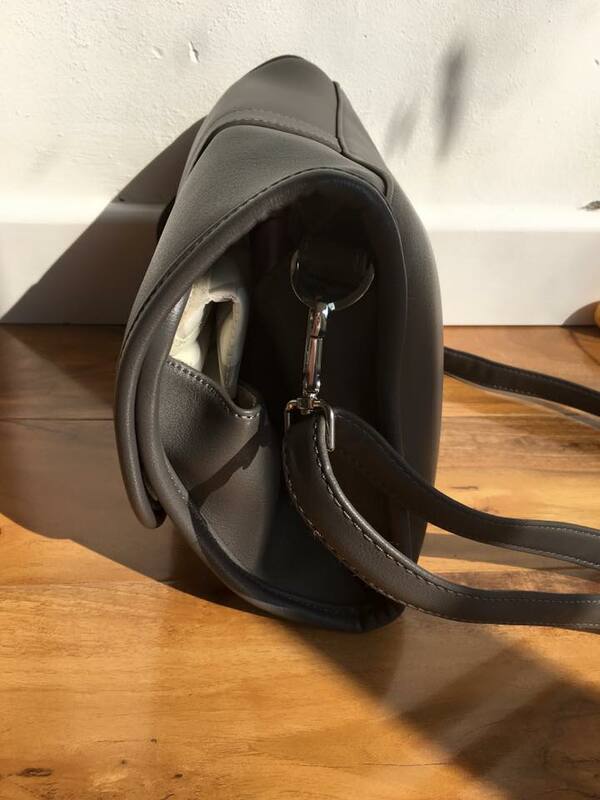 If you are just nipping out quickly it's nice to have a smallish bag with just enough essentials to grab and go for a couple of hours out visiting friends or grabbing a quick coffee. With an adjustable shoulder strap for across body or shoulder carrying there is enough room in the Cardinal changing bag for nappies, wipes, dummies, nappy cream, change mat, bottle/juice cup and Mummy's keys and purse. Even as they start growing up the changing mat is removable and I could fit in some spare clothes for those potty training days. Packed for a quick trip out with a toddler. Spare clothes, wipes, juice cup, keys, dummies and purse. The Lin and Leo has a buckle style fastening to the front and inside you will find 4 pockets (2 large and 2 small) and a very generously sized changing mat which folds and velcro fastens inside the change bag. 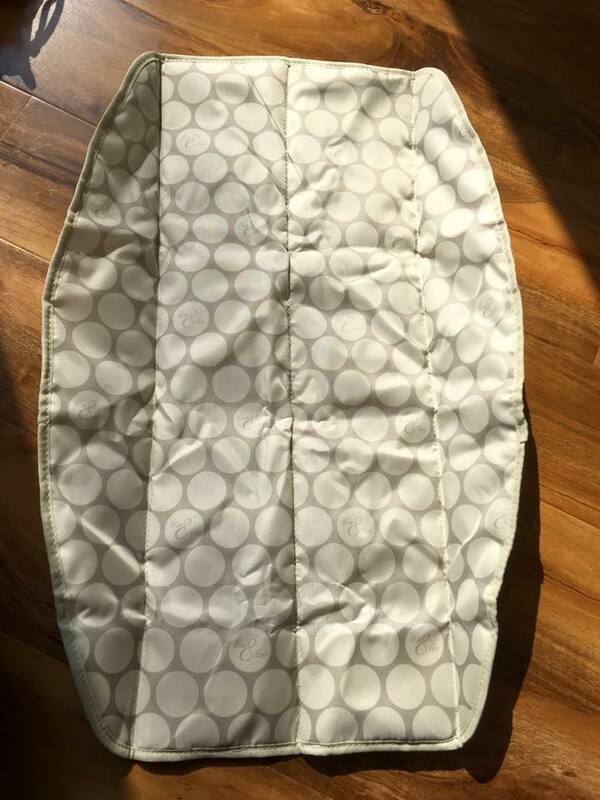 The printed interior of the bag with the generously sized change mat shown folded and unfolded. 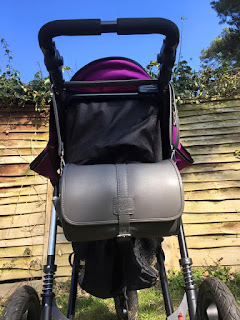 The large handle meant I could hang it across the handle on the pushchair and it was easily accessible if I needed anything, although would easily fit into a pushchair basket underneath the pushchair too. Shown hanging on the back of our pushchair. 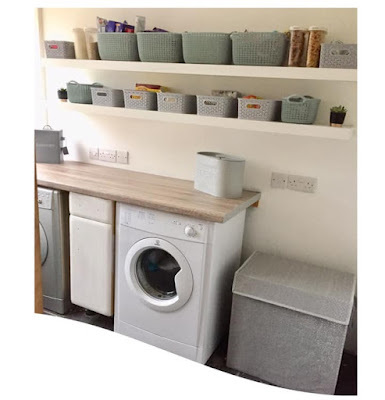 The bag opens lovely and wide so you can easily access and see what you have in your bag and makes it easy to take things out as and when you need them. 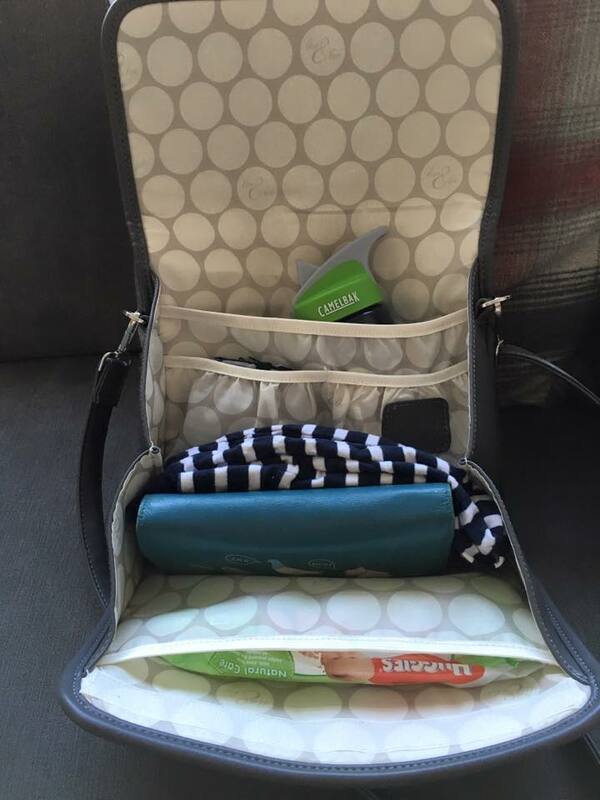 The smaller pockets where ideal for dummies, keys, nappy cream etc... and the larger pockets easily fit nappies and wipes in. Packed for a trip out with baby. 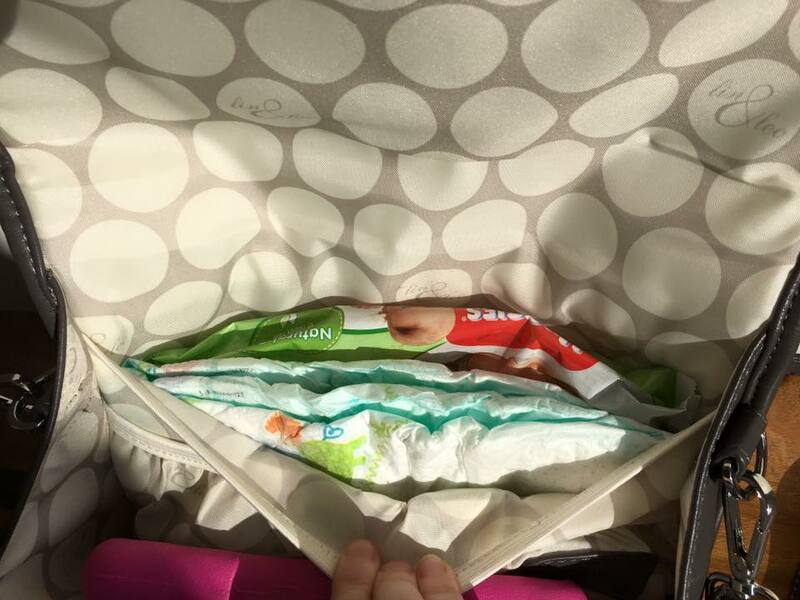 Wipes and nappies in the large pocket at the back of the bag. Also shown is a Kindle inside the bag by Mummy's purse, ideal for a quiet read with a coffee if baby is napping! 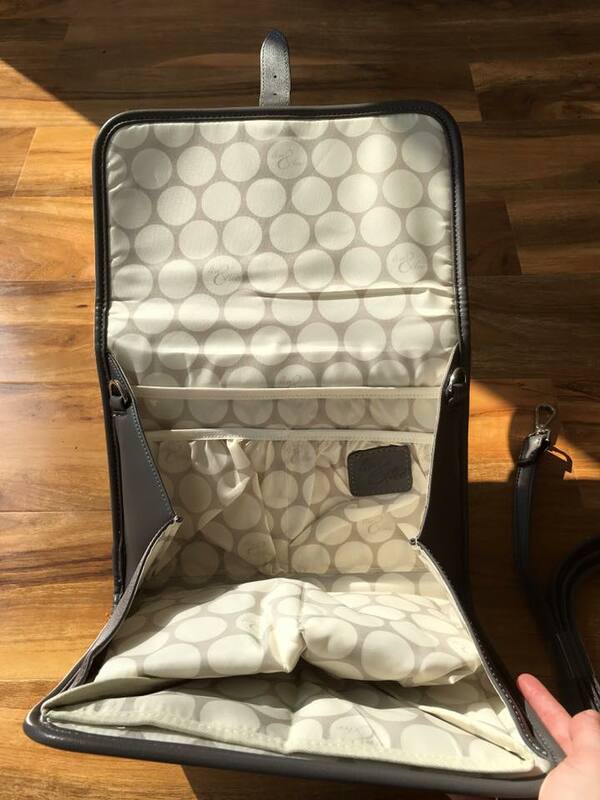 Inside the bag is a lovely printed wipeable lining which is great to keep the bag clean easily. The exterior is made from polyurethane and the interior is polyester. 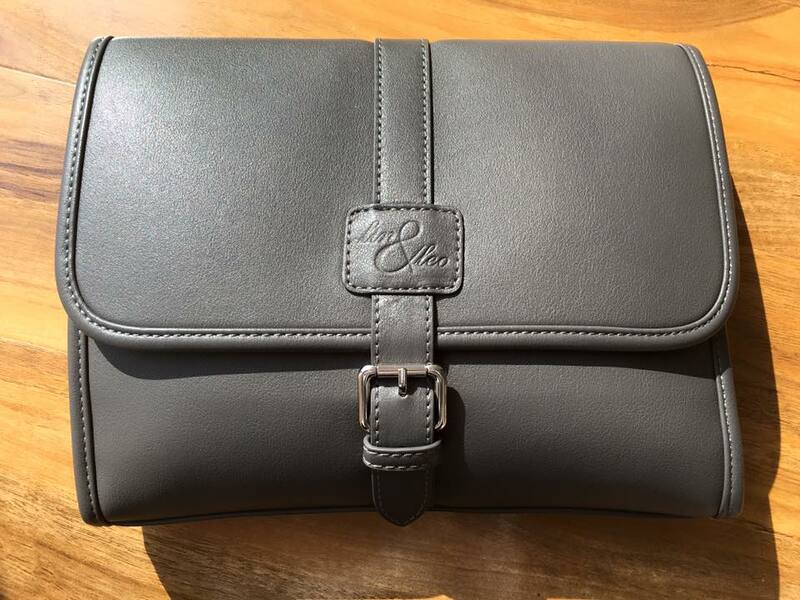 The bag measures (height) 24cm x (width) 30cm x (Depth) 7cm and weighs just 625g. When carrying a changing bag I don't like to carry a handbag too as us Mummy's only have one pair of hands and can't carry everything so there always needs to be room to fit my purse, phone and keys in too. This was easy in the Cardinal bag along with babies essentials too and it meant I could just grab and go knowing we had everything Mummy and Baby needed for a quick trip out. 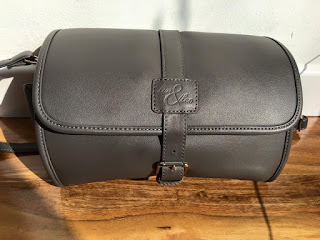 I love the look of the bag, the grey is smart and it doesn't look like a change bag at all until you open it and see everything inside. The Cardinal is great. 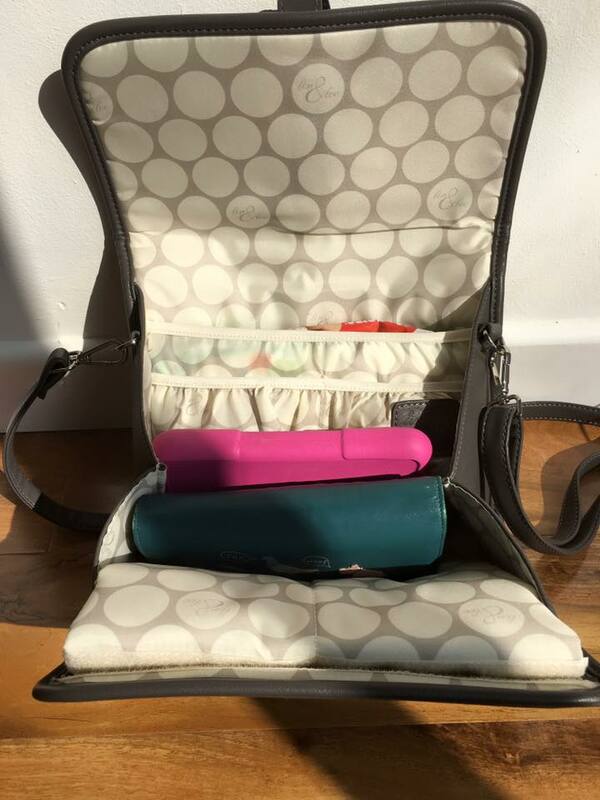 It is a lovely, small, stylish bag ideal for quick trips out but still enough room to take everything you need for baby or toddler. The Lin and Leo Cardinal bag can be found at www.linandleo.com and retails at £60. It can also be bought in black and magenta colours too. 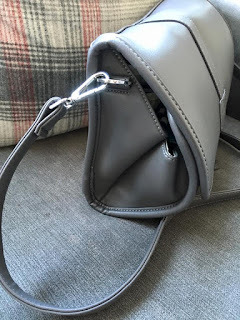 Disclaimer; We were sent the Lin and Leo Cardinal bag for the purpose of this review. All comments and thoughts are our own. That is a gorgeous bag. I agree about sometimes having way to big of a bag.